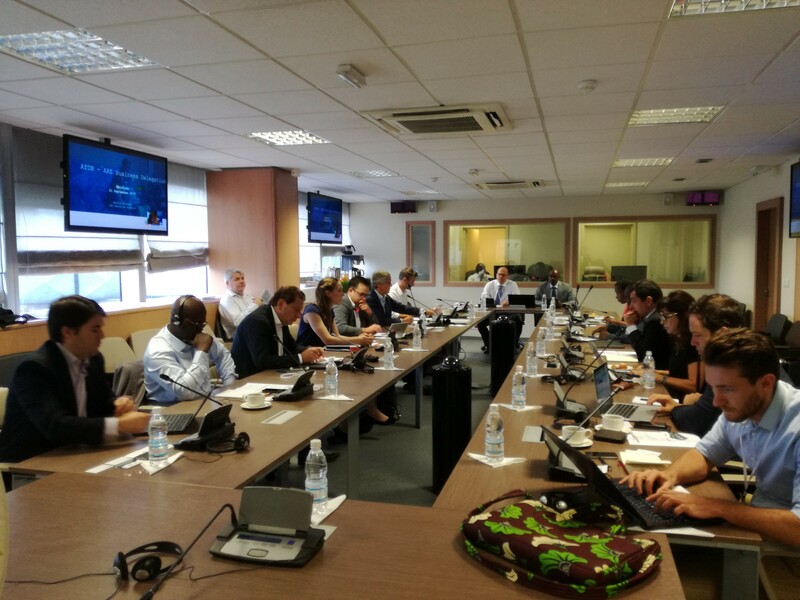 Over the last two weeks, the ARE Secretariat together with its Members and Partners were present in five continents to bring energy access on global and regional agendas! 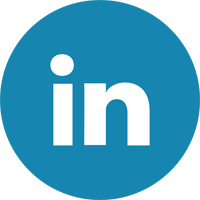 Please find out more about the Off-Grid Power House and our latest and upcoming engagements in this last ARE Newsletter of 2017. As part of this program, I was at the 2nd Energy Week in Latin America & the Caribbean in Buenos Aires to present key points to consider to develop regulatory frameworks for the facilitation of commercially interesting and viable clean rural energy access solutions in Latin America from our joint publication with IDB. These key recommendations, which cover questions of policy & business environment, organisational & coordination and funding & financing, were developed thanks to contributions from experienced practitioners from whom we have identified 29 case studies in 19 Latin American and Caribbean countries. These case studies feature different levels of clean energy services based on diverse sets renewable combinations. The publication also demonstrates the aggregated number of energy access provided by key success factors and lessons learnt. As we can see from these lessons learnt, not all governments in Latin America opt for Productive Use of Renewable Energy (PURE) even though these solutions are available to ensure socio-economic development. During my above-mentioned presentation at the HUB SEforALL Americas Day, I was delighted to share the analysis on what was needed to make advanced energy access bankable in the continent. 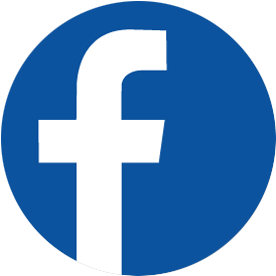 To find out how ARE can help you to achieve your business goals, please contact me directly. Since October, we are pleased to welcome seven new companies: Factor, GE, Gigawatt Global, LED Safari, LDK Consultants, Power-Blox and Turbulent Hydro. 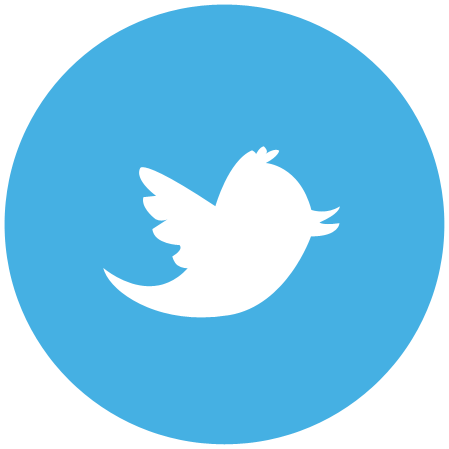 We are very much look forward to working with you! Finally, you have until 14 January 2018 to make use of our early bird offer for the 4th ARE Energy Access Investment Forum (Member rates available)! Join us in Sicily on 13-15 March 2018 to learn more about upcoming new off-grid support schemes and initiatives by the public and private sector as well as the latest industry trends and product and service innovations from the private sector. In the meantime, on behalf of the ARE team, we wish you a well-deserved relaxing break and look forward to pick up the pace again in 2018! People and economies need modern energy to thrive. Since the adoption of the United Nations Sustainable Development Goals, the link between energy and development has never been clearer. 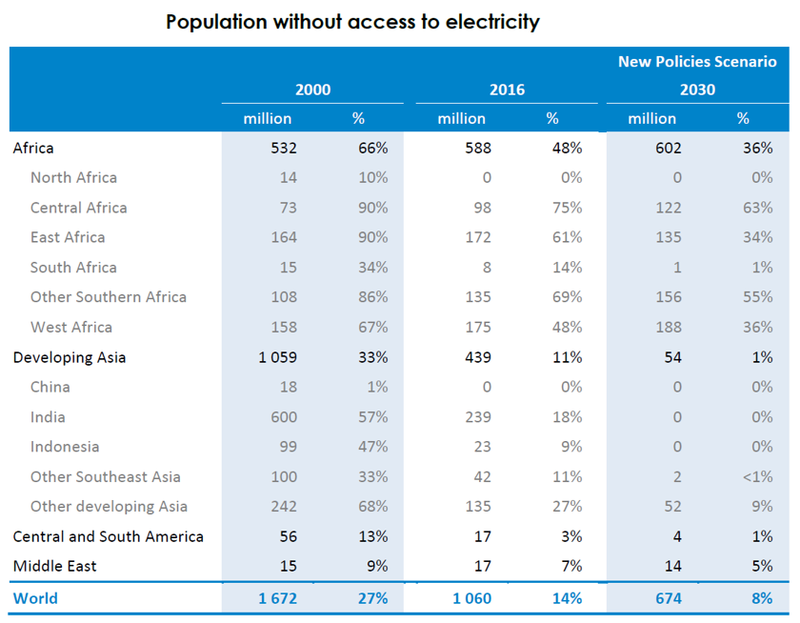 The International Energy Agency’s new Energy Access Outlook report, part of the World Energy Outlook-2017 series, finds that 1.1 billion people globally still lack access to electricity and 2.8 billion people lack access to clean cooking facilities, making the development objectives of many countries difficult or impossible to achieve. In the report we map a least-cost pathway to achieving the objective of delivering modern energy for all by 2030, highlighting the benefits for women, the climate, human health and economic development of the additional 2% in global energy investment required to fill the gap. The electricity access paradigm is shifting, and new technologies make achieving universal access closer than ever before. From 2000 to 2016 nearly all of those who gained access to electricity worldwide did so through new grid connections, mostly with fossil fuels. Over the last five years, however, renewables have started to gain ground, as have off-grid and mini-grid systems, and this shift is expected to accelerate. 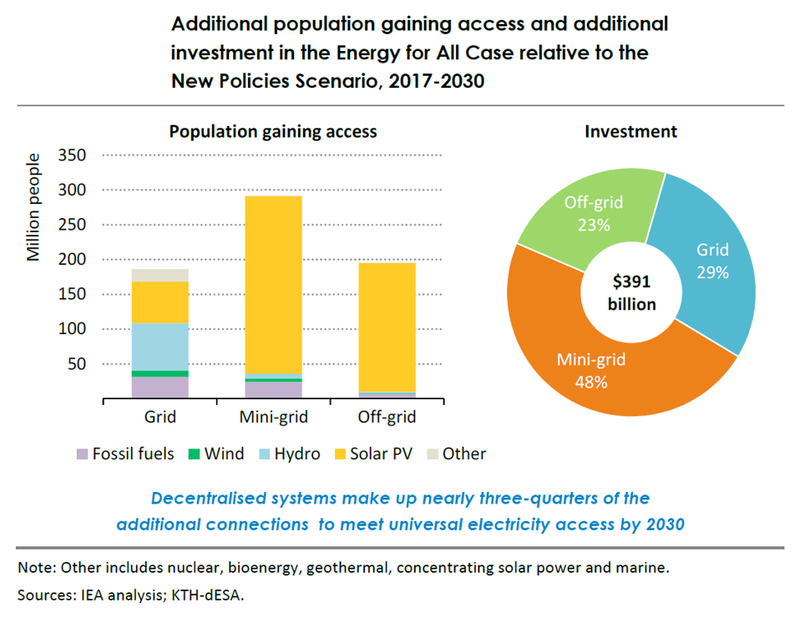 By 2030, renewable energy sources are expected to power over 60% of new access, and off-grid and mini-grid systems provide the means for almost half of new access, underpinned by new business models using digital technologies, enabled by cost reductions in solar PV and energy efficient appliances. However, under current trends and policies, over 670 million people would still be left without electricity by 2030, 90% of whom are in sub-Saharan Africa. New detailed geospatial analysis shows that emerging decentralised renewable technologies are critical to closing the gap, being the least-cost option for delivering access three-quarters of to the poorest and most remote who would otherwise be left behind. This would require annual investment of $52 billion per year, more than twice the level mobilised under current and planned policies. Scaling up investment in electricity access will require that the right policies and investment frameworks are in place. 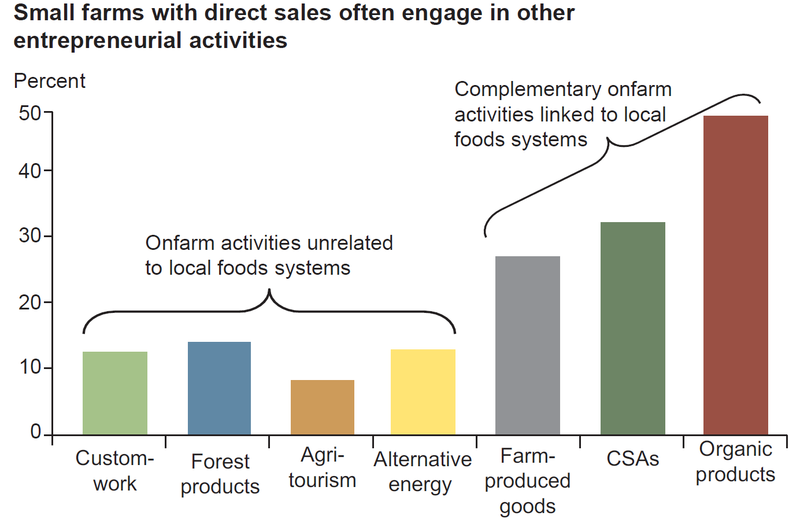 Similarly, reaping broader social and economic benefits will require a perspective on access that extends beyond household connections to include electricity for productive uses, such as businesses, agriculture and industry. This can create anchor loads to attract investment, lowering the average cost of household connections, improving food security and creating job opportunities, notably for women, and enabling businesses to grow and thrive. The work of the Inter-American Development Bank (IDB) in energy is guided by the goals established by the Sustainable Energy for All initiative (SEforALL). One of the three objectives of the SEforALL is to ensure universal access to modern energy services by 2030. An achievement that must be attained while the global energy sector goes through a period of profound transformation caused by the more significant role played by renewable energy and the adoption of new organisational arrangements that seek more competition and larger participation of the private sector, civil organisations and supra-governmental agencies to complement the role of the public sector. The social and economic benefits of electricity are well documented with welfare gains derived from longer hours for indoor activities, higher educational attainment that results in higher earning, informational benefits and higher productivity in home business activities (IDB’s Energy Sector Framework Document). By providing both financing and technical assistance, the IDB has played an important role in the achievements that the region of Latin America and the Caribbean (LAC) has made over the past 50 years in the energy sector. The IDB approved its first rural electrification loan in 1961. Today, the LAC region has an electrification rate of more than 95%, but critical challenges remain. More than 23 million people live without electricity across the region, with more than 80% concentrated in eight countries: Haiti, Peru, Mexico, Honduras, Colombia, Brazil, Guatemala and Bolivia. Lack of access to modern cooking and heating fuels is an acute challenge in Haiti, Guatemala, Nicaragua and Honduras (IDB’s Technical Note No. IDB-TN-967, July 2016). The achievement of universal access requires a multidimensional approach to develop new models for rural electrification and access to modern cooking. IDB recently commissioned ARE a report on this matter and the analysis of multiple cases shows that there is no “one-size-fits-all” solution but common principles apply. Universal access starts with comprehensive planning that integrates modern technologies to find the best solution for each community. For example, the IDB’s work with the governments of Ecuador and Bolivia made use of geospatial data assessment to model access increase and propose concrete action plans. It has become clear that the resolution to the electricity deficit problem requires a combination of urban and rural grid extensions with off-grid solutions (stand alone or mini-grids). To the latter, solutions based on renewable energy with innovative business models such pay-as-you-go deserve serious consideration. The IDB stands ready to continue working with the public sector, civil organisations, the private sector and organisation networks to ensure the SEforALL goal for energy access is met in the most efficient and effective manner. The "Climate Partnerships with the Private Sector" programme supports projects in emerging markets and developing countries that demonstrate the application of innovative technologies in the field of energy efficiency or renewable energies or adapt proven greenhouse gas abatement technologies to specific conditions in the target countries. Does your company want to tap into an emerging market with an innovative technology? Does your technology save energy, reduce CO2 emissions or utilise renewable energy sources? Can your know-how contribute to increasing energy efficiency? Within the framework of the climate partnerships, innovative ideas can be supported with up to 200,000 EUR per project. The aim of the programme is to transfer climate-friendly technologies and know-how to emerging markets and developing countries. Since the programme was launched in 2010, 36 climate partnerships have been implemented by European companies on four continents. Among other things, demonstration projects have been carried out in the field of solar energy, biogas, small-scale hydropower, e-mobility and energy efficiency, which contribute specifically to the dissemination of climate-friendly technology in the target country. DEG - Deutsche Investitions- und Entwicklungsgesellschaft mbH has now been commissioned by the BMUB to launch the third phase of the programme. Interested German and European companies can submit project proposals to DEG, also in cooperation with local companies. In the event of a positive decision, the company and DEG will work together on a detailed project concept. The company has to cover at least 50 percent of the total project costs and is responsible for the implementation of the project. We would like to invite companies with innovative project ideas to our workshop on the 21 March 2018 at DEG in Cologne. In addition to market information, the one-day event will also offer you the opportunity to talk to us in person about funding and financing opportunities for your project idea. Since there are only limited seats available, please fill in the short application form on our website and send it to the following address. The creation of cross-sector partnerships to accelerate productive use of renewable energy was one of the topics discussed at ARE’s Off-grid Power Workshop at Intersolar India last week. The presenters from Studer Innotec, Claude Ruchet (Switzerland) and Shyam Sundar (India) argued that in order to successfully implement installations with renewable energy of high quality and standards, it was important to engage with highly qualified local partners who understand the specific requirements of a certain region. One example of productive use of solar energy is the mini-grid installed in Pasanga, Jharkhand, situated in the eastern parts of India. Located far away from the transmission line to the national grid, the Pasanga village's rice hullers (agricultural machines that remove the outer coat of the rice) and water pumps were powered with noisy, polluting and expensive diesel generators. This region is blessed with an abundance of natural resources and possesses 40% of India's mineral resources (such as iron, coal and copper). Even so, almost 40% of its population lives under the poverty line. A high proportion of its population (75%) lives in rural areas and works in agriculture. The Indian government is determined to provide the country's villages with electricity; either through grid-connection or off-grid electrification. Jharkland became a pilot project for this ambitious electrification scheme and currently almost 100% of the villages have access to electricity. 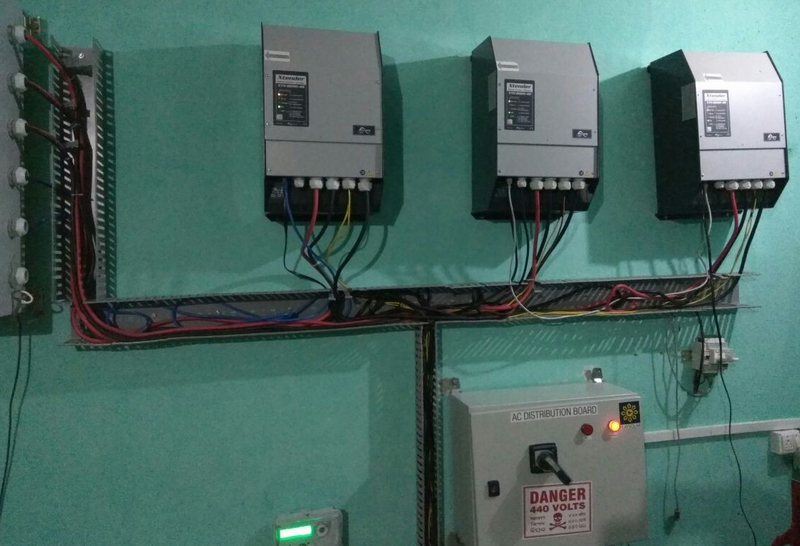 In order for Pasanga's agricultural machines and irrigation systems to work seamlessly, it was important to equip the installation with inverter/chargers that could provide uninterrupted power with high surge handling capacity and high efficiency. The renowned Swiss manufacturer of power conversion units, Studer Innotec, could provide products with a surge capacity of 63 kW, the Xtender XTH 8000-48. 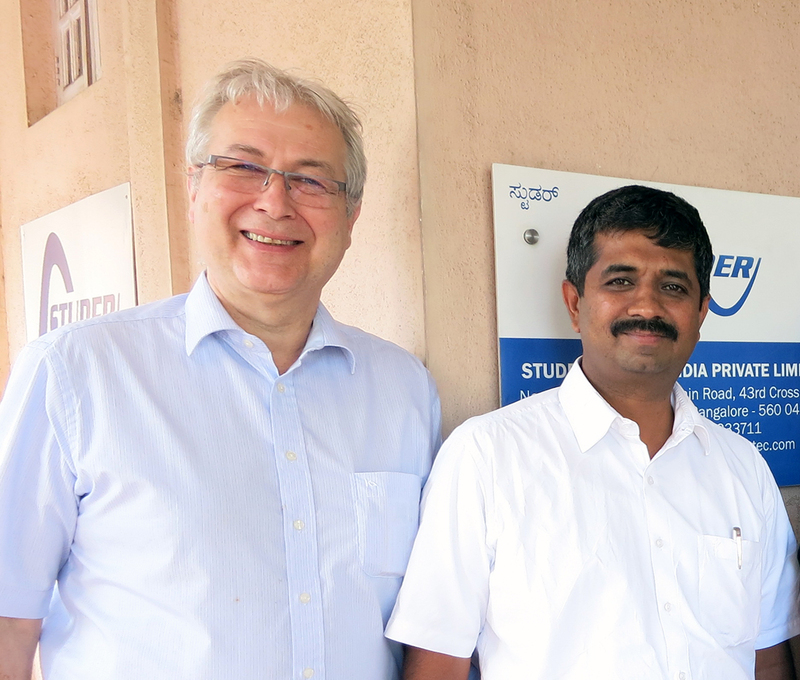 In addition, by having a local sales and support office in India, they can also provide continuous support and share their experience and knowledge, gained over 30 years within off-grid electrification, with their local partners ensuring the smooth operation of the systems. This project was developed by Mlinda with Play Solar as EPC contactor. 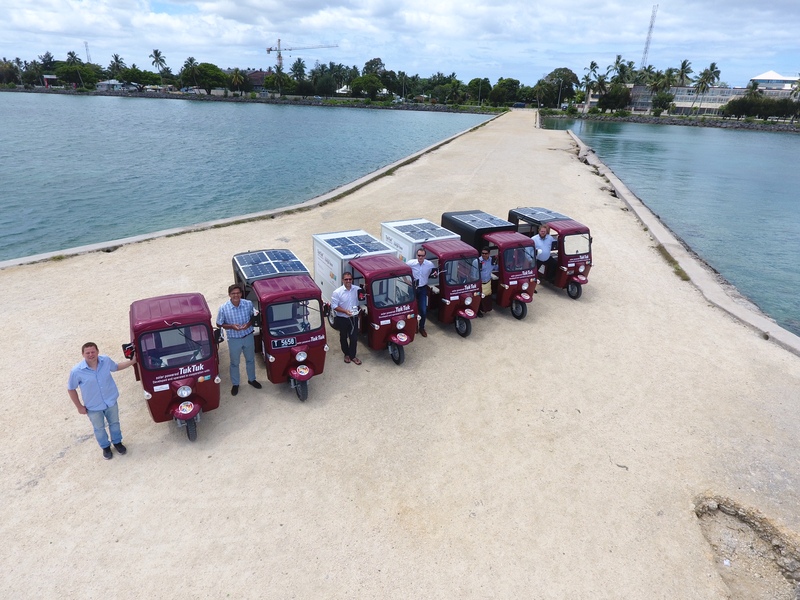 Today, Pasanga's 24.3 kW mini-grid powers the village's rice hullers as well as the irrigation pumps and household lighting in 30 of the village houses. All connected houses have an individual smart metre that registers their energy consumption. Each energy unit has a fixed price and the consumers pay for their estimated energy consumption in advance (on a monthly basis). Other village houses may join the local network once they pay the minimum charge fee. Gambia is one of Africa's smallest countries and rain-fed subsistence agriculture is the main livelihood for the majority of its population. Since Gambia only has a short wet season and vegetables and fruits need to be growing throughout the year, it is essential to have access to an irrigation system in order to ensure that the population is independent from the rain. The Gambia Commercial Agriculture and Value Chain Management Project (GCAV) improves production systems and access to market of targeted agricultural commodities for smallholders in rural Gambia and has recently set up a new project for Gambian women in West Coast and the North Banks regions: Vegetables gardens of around 5 hectares are divided into plots of 150 to 200m2 and are each awarded to a woman of the village association. 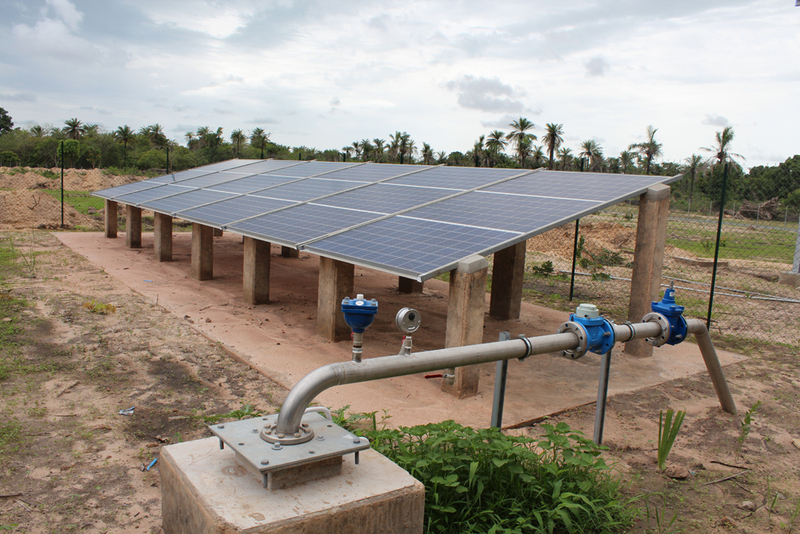 After having won the tender for this project thanks to its competitive price-quality-ratio in 2016, SOLAR23 signed a contract with the Ministry of Agriculture in Gambia to provide 22 solar pumping systems and 21 aluminium water storage tanks for the agricultural irrigation of vegetable fields and gardens. This EUR 1.3 million turn-key project was now finalised. SOLAR23, specialised in PV pumping systems, was responsible for system planning and design, sourcing of first class components as well as delivery to Gambia and also ensured smooth and efficient installation via on-site support of a local partner and guarantees a two year after-sales service for pumps and one year for tanks. The successful turn-key project, financed by World Bank, covered concrete work, pipework, fencing and electromechanical work and included the delivery and installation of 22 solar generators from 3,180 to 6,360 Wp, generating a total of 110.24 kWp. It also included antitheft supports, submersible pumps and 2m high mesh fences and 21 elevated aluminium water storage tanks of 40m3 volume at 6m height. The biggest advantage of these tanks is their extreme durability, which is highly greater than commonly used concrete or steal tanks. The whole solar powered water system will generate 126m3/day and per site, summarising up to a total of nearly 1 million m3 water per year. For the women in this region, growing vegetables in the dry season and rice in the rainy season supports them and their family to generate a reliable source of nutritious food and income for their families. “Being part of projects like these makes us very grateful as we can improve the situation of the population. This is one of the reasons why we are constantly thriving to provide our project partners and consequently the population with the best price, quality and service possible – always keeping sustainability in mind”, stated Tobias Merkel, General Manager of SOLAR23. Today, more than one billion people lack access to safe, affordable water. In many areas, the only source of clean water is underground aquifers which requires substantial amounts of energy to pump this ground water to the surface. Many areas of the developing world are not served by a central electric utility, and if they are, the service can be intermittent and unreliable. The conventional alternative is diesel-powered water pumping, which is maintenance intensive, polluting, and expensive. Water pumping is an ideal application for renewable energy, because the intermittency of wind and solar energy sources can easily be accommodated using water storage. 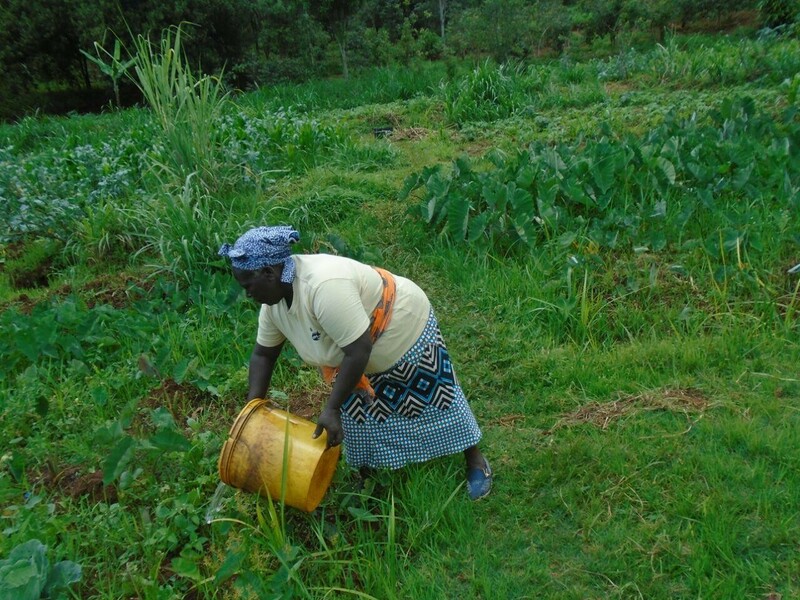 Water storage tanks can be constructed inexpensively with local materials and local labour. They have a long useful life, and their capacity does not degrade over time. Having sufficient water storage capacity completely decouples the water supply from the demand, allowing water to be pumped only when there is sufficient renewable energy available, eliminating the need for a dispatchable power source (e.g. diesel generators). XANT Wind Turbines and Sustainable Power Systems (SPS) have partnered to offer a pre-engineered wind-powered water pumping solution, the WindWell, sized to meet the needs of commercial irrigation and municipal water supply applications. It combines the proven XANT M wind turbine, with advanced battery management and pump control technologies developed by SPS. The concept is exemplified by SPS’s project in Hawaii, which provides all the water used by a plant nursery. 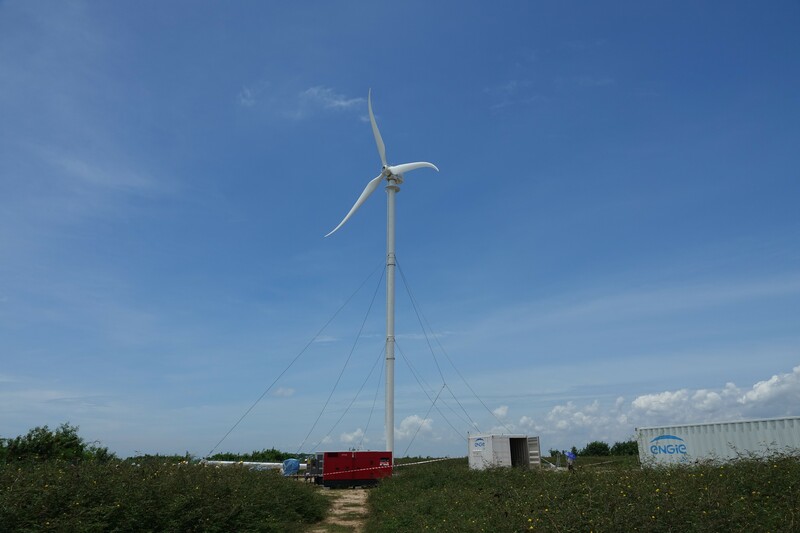 This “first generation” system combines a conventional wind turbine, a battery-inverter system to regulate the AC power bus, and a variable speed motor drive controlling a submersible pump. The WindWell system is designed for sites with a significant water demand: the table below gives an indication of expected daily water production for different wind speeds and well depths. The WindWell can equally be applied to other types of water applications such as desalination plants and ice-making factories. 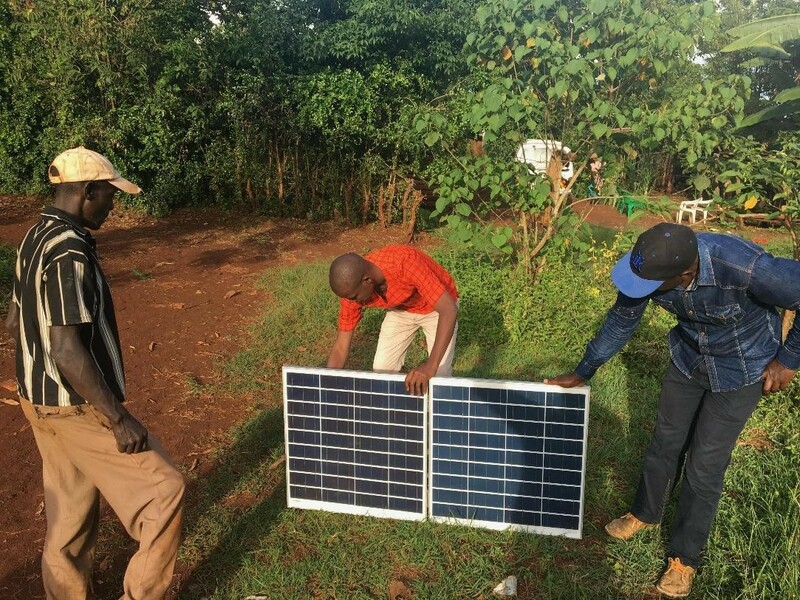 7,500 km away from the comfort of his air-conditioned office in Singapore, Rick Sheridan and his local research associate meet with farmers in Kenya to get them to participate in Sunny Irrigation’s first pilot project: providing solar powered irrigation on their quarter-acre plots of land. Combined with an informal agribusiness partner’s invaluable ground support staff, the joint team’s goal today is simple, to improve the lives of smallholder farmers with solar technology that not only delivers effective irrigation, but is equipped with a Pay-as-you-go payment system that can allow farmers to pay in small instalments over a period of 18 months via their own hand phone. Also available for the farmers is on-going agronomical advisory that helps them leverage their newfound irrigation asset to grow higher yield crops, in effect increasing their monthly income and providing them extra capital to help make their pump’s monthly payments even easier till payoff. 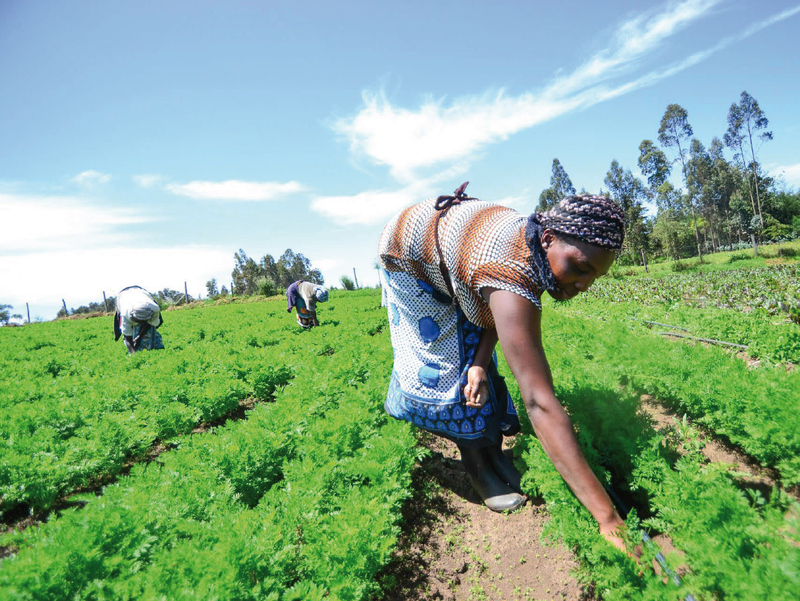 According to the UN Food and Agriculture Organization, agriculture provides the livelihood for more than 80% of the Kenyan population yet contributes only 26% of Kenya’s GDP. With millions relying on the land beneath their feet to support themselves, their family, and community, advances and know-how in agricultural technologies like irrigation need to become more accessible and affordable so that successful (and profitable) farm yields can be achieved. 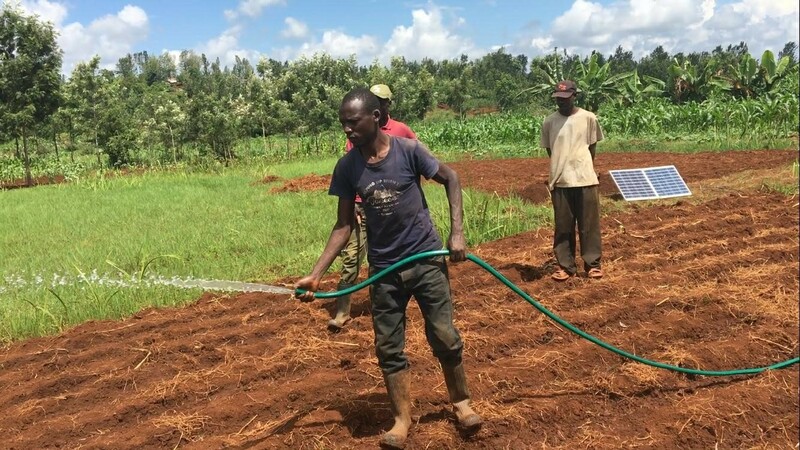 This trip to Kenya is to set the wheels of our pilot project in motion, and find a group of farmers to participate to help us gather vital points of data on their use of our solar powered irrigation system and validate our engagement model. Our pilot study is necessary to understand the payment behaviours of the farmers and how receptive they are to ongoing use of the irrigation pump. We hope to pinpoint the pros and cons of our design in order to roll out improved systems which tackle some of the greatest challenges smallholder farmers face. Making his way through the sun-kissed greenery of rural Murang’a county, Rick presses the team through the pump demonstrations. Optimism grows as our researcher reports successfully enrolling our first 9 farmers to take part in the pilot. With a target of 15 participants in this county, we are well on our way. Through this pilot we will have greater understanding of how beneficial the system has been for farmers and their ability to grow higher yield crops such as tomatoes, onions and green beans, measuring the farmers’ income growth and how it has affected the greater community. In order for our pilot to take off, Rick and the team at Sunny Irrigation want to get your help to continue along our journey to support Kenyan farmers. Reaching our goal would mean the world to us at Sunny Irrigation and, we hope, to our eager pilot farmers as well. Every dollar goes towards developing the right system dedicated to enhancing farmers’ productivity, and along the way we’re rewarding campaign donor-investors with some tasty yet under-the-radar agribusiness products we’ve encountered along our research. A simple solar power irrigation system can change the life of a farmer, his family and his community, and we want you to help bring this vision to reality. 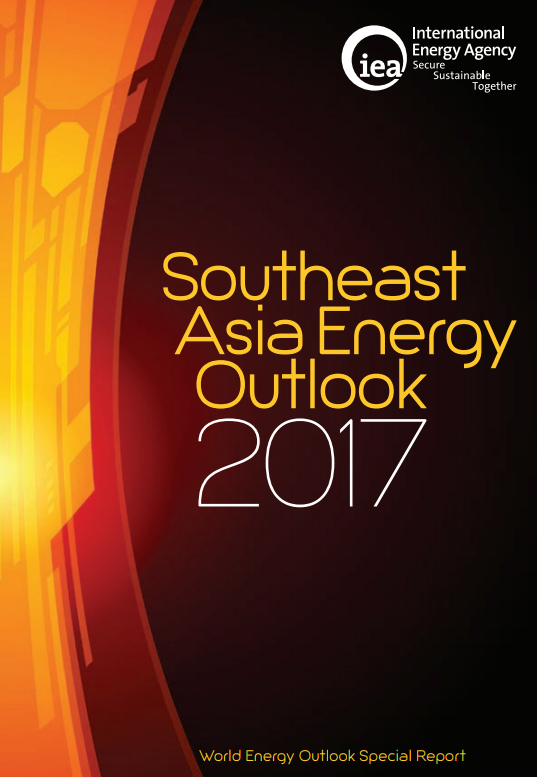 In the International Energy Agency’s (IEA) World Energy Outlook Special Report - “Energy Access Outlook 2017”, the authors pointed out that remarkable progress in global electrification has been made since 2000. However, for those of us working in Africa, it is troubling that the report forecasts that by 2030, 600 million of the 674 million inhabitants of the world population who will still yet not have access to electricity will live in sub-Saharan Africa. The report goes on to state that to achieve universal access for all by 2030, $52 billion per annum, will need to be spent, and 95% of that will need to be spent in sub-Saharan Africa. Also, the EAO 2017 report repeats the observation, first made in the IEA’s inaugural 2014 African Energy Outlook Report, and projects that off-grid solutions, generally, and mini-grid system development, specifically, will play a key role in electrifying rural Africa. However, with only 2% of global mini-grids established in Africa today, it is critical that we identify ways to attract more investment, particularly private investment, for mini-grid development. Productive use of renewable energy (PURE) which focuses on energy system development to power agricultural, commercial and industrial activities, can provide the off-take and revenue required to make such systems bankable, and the surplus electricity sold to households, more affordable. In many African countries, agriculture provides more than 50% of all employment and up to 6% of GDP. To accelerate investment in mini-grids in Africa, we should focus greater attention on the energy, agriculture and water nexus. Africa today has a food import bill of $35 billion a year, and the African Development Bank expects that this may rise to $110 billion by 2025 - as the continent’s population will double to an estimated 2.4 billion by 2050. These funds if spent on local production and processing, could help fill the energy investment gap that exists of roughly $28 billion per annum. 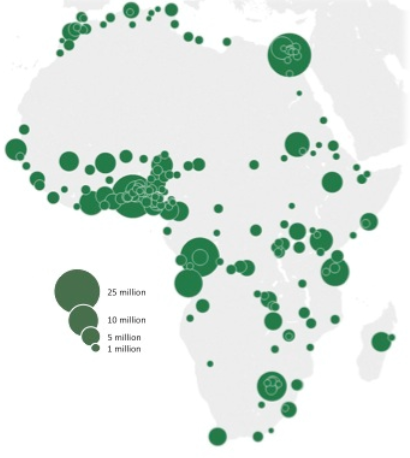 And demand for food is rapidly growing across the continent, particularly in Africa’s expanding cities. With more than 60 cities today having 1 million or more inhabitants, there will be more than 100 such cities in 2030.
c) begin to map and develop local food systems, create community inclusive value chains, cultivate local and regional food markets and establish “Food Enterprise Centers” that support aggregation, value addition, marketing, storage, logistics and technical assistance to local farmers and food producers. Over the next 12 years, toward achievement of the Sustainable Energy for All (SEforALL) goal of universal energy access by 2030, we must further focus on advancing mini-grid development in Africa through a joint focus on deploying more off-grid renewable energy systems and driving local food system development to accelerate agricultural sector transformation. The 1st edition of the forum brought together over 70 stakeholders to promote cooperation to support the acceleration of sustainable solutions to the region’s energy situation. Crucially, this event saw the launch of the Regional Off-Grid Electrification Project (ROGEP) funded by the World Bank – a 200 million USD programme aiming to boost access to finance for solar off grid electrification in the all 15 ECOWAS countries and four non-ECOWAS member states (Mauritania, Chad, Central African Republic and Cameroon) [presentation]. With the topic of standalone solar systems addressed at the forum, ARE Executive Director Marcus Wiemann contributed as a panellist in the session on “Improving the enabling environment for companies promoting standalone solar systems.” He also met with the representatives of ECREEE and the World Bank to advise on how ARE and its Members can best contribute with their expertise to the success of the program to promote standalone solar systems. 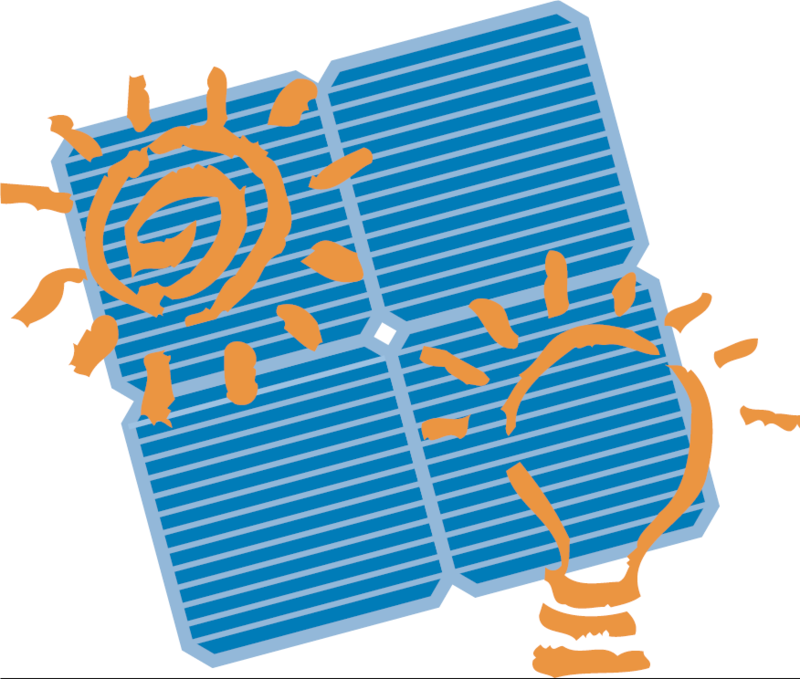 The International Energy Agency (IEA) aims to deploy PV systems in a large scale in developing regions. 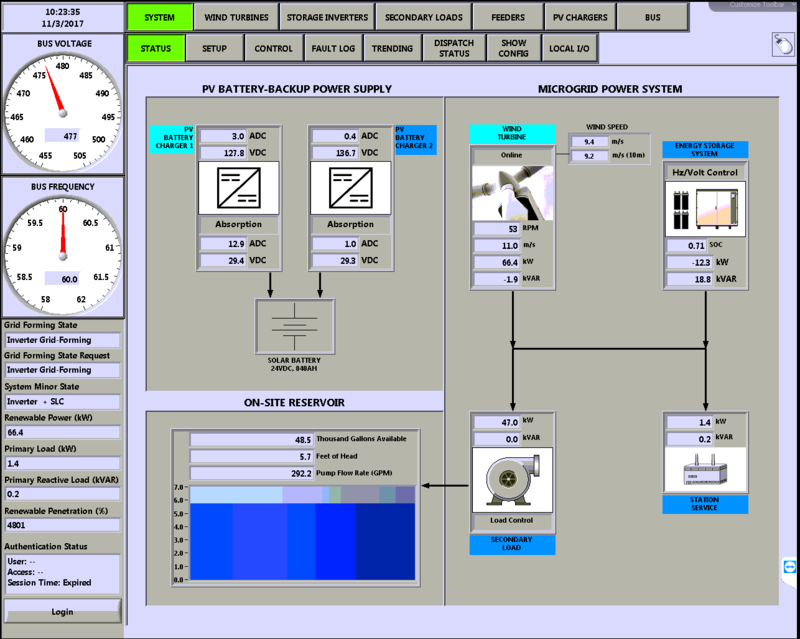 Part of this work is to evaluate PV-Hybrid and PV-Diesel systems for off-grid power supply on a world-wide level. The idea is to provide a realistic view on the performance of such systems in the field. This helps decision makers to apply PV-Hybrid and PV-Diesel Systems correctly and it helps operators to increase the performance of the system to reduce the costs. The need to close the gap of market intelligence on off-grid, in particular the mini-grids sector. 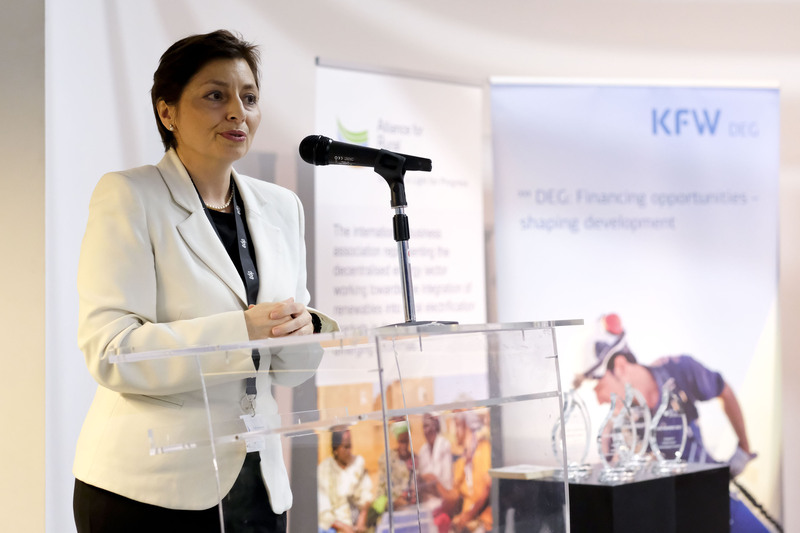 The evening event, organised by the Konrad-Adenauer-Stiftung, featured discussions on scaling up financing for access to energy (SDG 7) in Africa. ARE Policy & Business Development Officer Jens Jaeger presented ARE Key Recommendations for more private sector engagement to ambassadors from different African countries, representatives from municipalities in Tanzania and Nigeria, as well as the European Commission and EUEI-PDF. 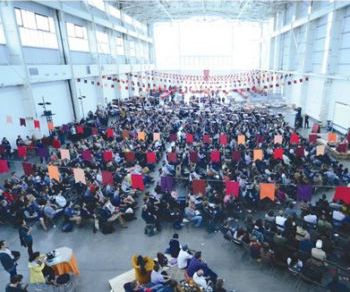 Almost 200 participants from both the private and public sector came together to the conference. The topics of water and energy were chosen as pre-conditions to break the poverty cycle and allow social and economic progress in developing countries and SIDS. 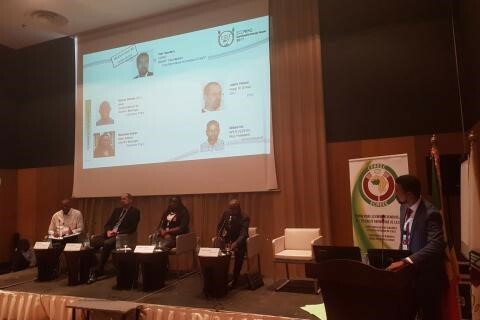 ARE Vice-President Guilherme Collares (EDP) and ARE Board Member Anthony Ighodaro (KXN Nigeria) participated in a panel on rural electrification. 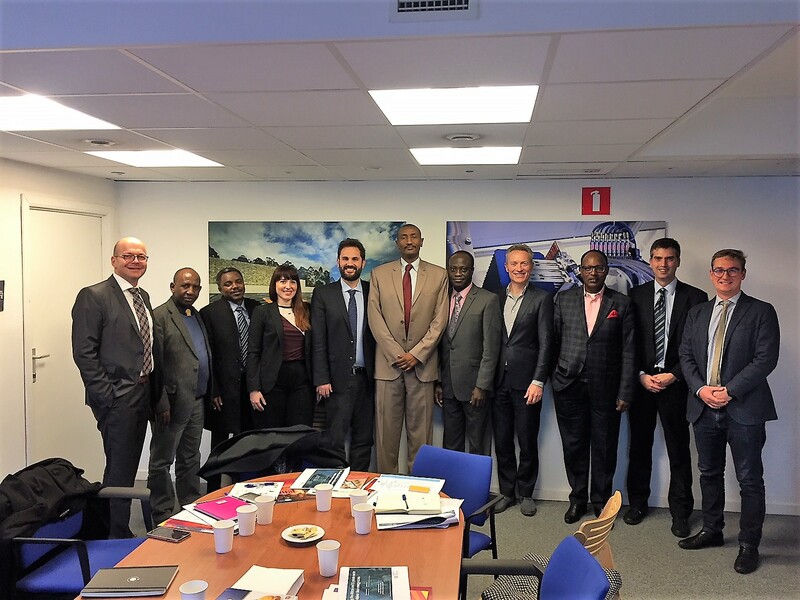 The African Union Commission and the EU’s Technical Assistance Facility visited ARE offices with a 12-person delegation to better understand the work of ARE and the approaches & solutions of its Members. In view of an upcoming AUC publication on principles and guidelines for off-grid and particularly mini-grid policies, to inspire mini-grid policies in African Member States, ARE Executive Director Marcus Wiemann and ARE Policy & Business Development Manager David Lecoque provided key recommendations from ARE. With leading financiers such as the Agence Française de Développement, the European Commission and the European Investment Bank giving their insights into their works and future plans, ARE Executive Director Marcus Wiemann presented ARE views on how to best expand investments in the off-grid sector to over 100 workshop participants. It was great to hear that the first ElectriFI projects are implemented or are in the implementation phase (e.g. 3.5 MW Mini-grid in Haiti). The conference opened the debate on the need for new instruments and resources in view of defining the next EU budget (2021 - 2027). In the lead-up to the Africa-EU Summit and with the aim to attract the private sector by shifting from aid to growth policy, ARE Board Member Anthony Ighodaro (KXN Nigeria) provided recommendations on how to speed up rural electrification by engaging with the African youth at the high-level conference. ARE followers are welcome to listen to his speech held in the very impressive plenary room of the European Parliament (700 seats) [Speech]. 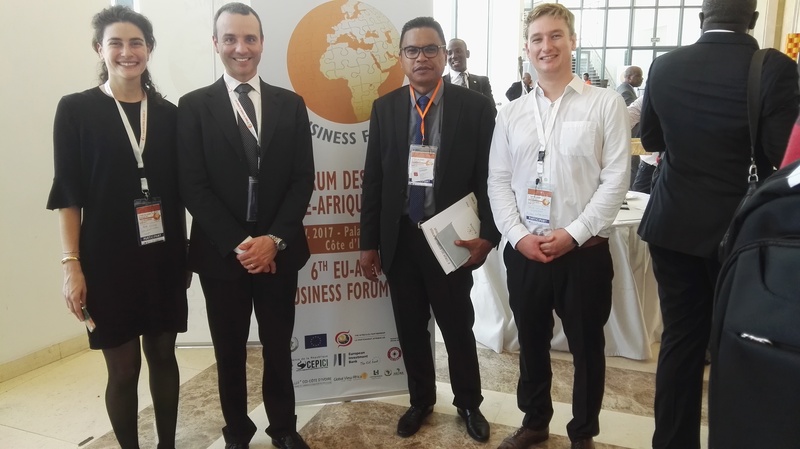 ARE Policy & Business Development Manager David Lecoque represented ARE at the Business Forum organised in the context of the AU-EU Summit. The Forum was attended by over 270 participants including high-level representatives like the President of the African Development Bank, the Vice-President of the Ivory Coast, the Director General of the European Commission’s DG for International Cooperation and Development and the African Union Commission [programme]. It was also the occasion to celebrate 10 years of the Africa-EU Energy Partnership (AEEP), which is a top ARE partner and under which ARE is leading the Energy Access Workstream, as well as to learn more about the EU External Investment Plan. At the HUB SEforALL Americas Day and the Opening of the Meeting of Energy Ministers by IDB-OLADE, Special Representative of the UN Secretary-General & CEO SEforALL Rachel Kyte, as well as Director General of IRENA Adnan Amin, highlighted the unexpected positive developments in the renewable energy sector. However, while technology and productivity of electricity generation have increased over recent years leading to falling production costs, they also stressed that it will need a more systematic approach to achieve set goals. 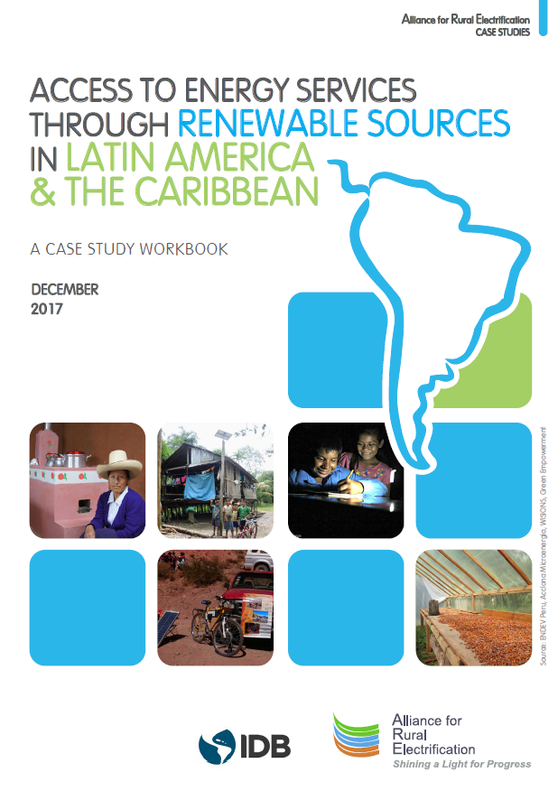 As a result, ARE was invited to share its international experiences and present its key recommendations to advance clean energy access in Latin America & the Caribbean (LAC). With the kind support of IDB and the assistance of its Partner OLADE, ARE has put together a publication with 29 case studies from 19 Latin American and Caribbean. Based on ARE’s analysis, ARE Executive Director Marcus Wiemann shared key learnings and key points to advance energy access in LAC with the perspective to attract industry investments to upscale and increase the effectiveness of resource use [presentation]. ARE Policy and Business Development Officer Jens Jaeger moderated the ARE workshop, kindly sponsored by ARE Members GE Power and Studer-Innotec, as well as by non-members Smart Power India and Greenlight Planet. The finance for off-grid solutions is still minimal compared to grid extension solutions, although innovative financing solutions for off-grid renewable energy exist. RES-EXPO 2017 is designed as a regional conference and showcasing exhibition, including B2B matchmaking sessions organized by the EU-Africa Renewable Energy Cooperation Program (RECP). The conference will touch upon the key topics for renewable energy deployment such as policy and regulatory frameworks, financing solutions and business models, technological and technical issues, capacity building and socio-economic benefits to local economies. The exhibition allows for local, national and international RE solution providers to present their business and products. 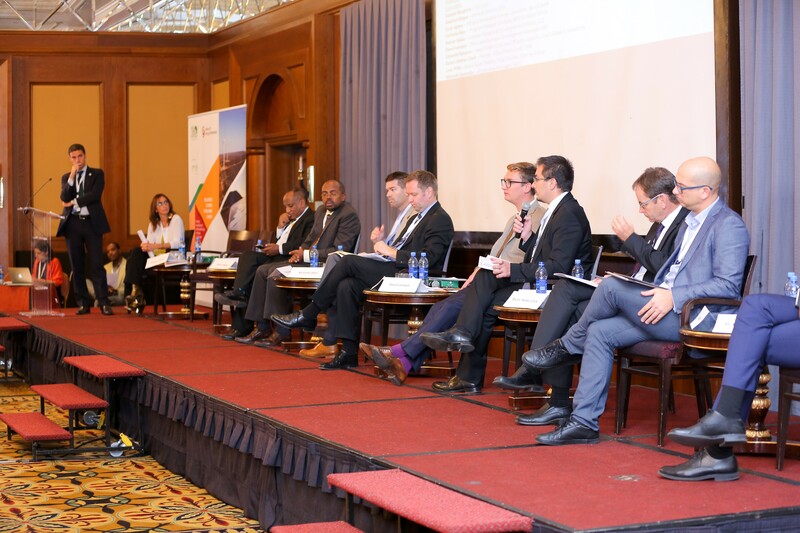 The B2B sessions will be an opportunity for these companies to connect and foster new business opportunities in the Eastern-African renewable energy market. RES4Africa supports the development of African start-ups with innovative solutions that contribute to local entrepreneurship and answer the region’s energy needs. 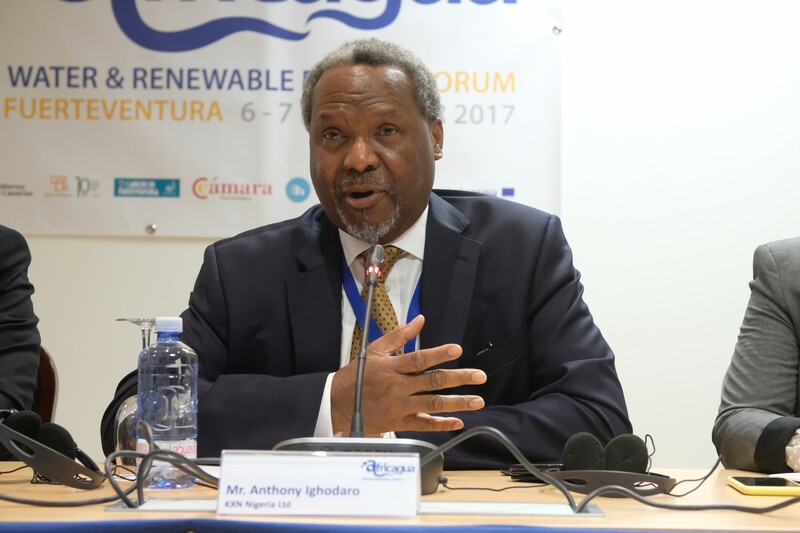 A side-event for the award ceremony of “East-African Renewable Energy Innovation Competition 2017”, launched in April by Enel Global E- Solutions, is foreseen during RES-EXPO 2017. ARE Members and Followers who wish to exhibit benefit from a 10% discount! Contact us for more details. The Africa Energy Forum: Off the Grid is co-located with the East Africa Energy and Infrastructure Summit, taking place in Kampala from the 6 to 8 February 2018, and held with the official endorsement of the Ministry of Energy and Mineral Development for Uganda. ARE Members and followers get 25% discount on the registration fee (which includes entry to both forums), by using the code EAEIS28 when registering online here. The 2018 Forum is organised in collaboration with RES4Africa and RECP and is the meeting place for 350-380 participants from all over the world to identify and get introduced to the most interesting actors to present their own business proposals. BOOK YOUR TICKETS HERE! Early bird tickets available until 14 January 2018! ARE is delighted to call for proposals for the ARE Awards 2018! By discerning these awards, ARE wishes to highlight the energy access results achieved by the most passionate and innovative stakeholders and stimulate the exchange of knowledge. The ARE Awards 2018 Ceremony will take place during the evening reception of the 4th ARE Energy Access Investment Forum on 13 March 2018 at 18:00 - 20:00. Please submit your applications for the ARE AWARDS 2018 before 15 January 2018 (22:00 CET). Statistics indicate that electricity coverage in the region is at present about 97%. However, this means that some 22 million people – about six million households – still lack service. Providing electricity access to these people requires solutions based on an evaluation of factors such as technology, environmental and social context, economic viability and a cost-benefit analysis, and requires the mutual collaboration of both the public and private sectors. This report prepared by ARE and commissioned by the Inter-American Development Bank (IDB) provides valuable reflections and lessons learned on clean energy access projects from the business association perspective. Part of the strategy to reach universal access in the region involves joining forces with other energy access initiatives and networks such as ARE. 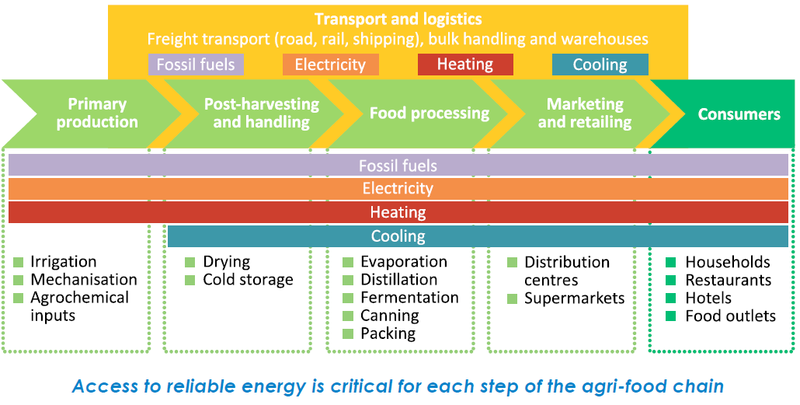 With a total population of nearly 640 million, an estimated 65 million people remain without electricity and 250 million are reliant on solid biomass as a cooking fuel in South-East Asia. The full report provides a detailed framework for understanding the region’s energy choices, examining the pitfalls and opportunities that lie ahead and what different pathways might imply for future energy security, the environment and economic development. This research paper explores the concept of an energy access dividend that decision makers can expect by providing electricity access to populations more quickly. It assigns a specific economic, social and environmental value that households and countries can expect by receiving and delivering different Tiers of service. Such a dividend would allow decision makers to quantify the benefits of delivering electricity access faster through decentralized electricity solutions rather than through more conventional, centralised grid-based approaches. These conventional approaches are proven to be more time consuming and expensive. This report includes Energy Access Dividend estimates for Bangladesh, Ethiopia and Kenya, focused on financial savings, educational benefits and climate benefits. These three countries were selected due to their wide-ranging differences in terms of income levels, demographics and past and planned electrification rates. These countries also have significant populations without access to electricity. It is hoped that by integrating dividend projections into electrification, development and economic planning and budgeting decisions, government decision-makers will give closer attention and support to decentralised energy solutions as a key electrification strategy. By providing faster, lower-cost access to electricity, governments have an opportunity to accelerate improvements in people’s lives and livelihoods, as well as national economies.